Simbu, Hansika starred Vaalu has completed its censor formalities today [March 11] and the rom com Tamil movie has been certified with a clean U by the board. Vaalu team is excited and apparently expecting a clean U certificate. Simbu and team have come up with a complete family entertainer this time around, which is certainly a good news for all film buffs. "#vaalu censor happening Tom just feeling good after completion of all postproduction works", SS Thaman Tweeted earlier. It is for the first time that a movie has topped the Twitter trends on the censor day, STR's Vaalu takes the credits. As Simbu fans expected, Vaalu has got a clean chit, it is to be seen if the movie will hit the screens on the announced release date, March 27th. The movie is running for 2 hours and 34 minutes. On the occasion of Womens Day [March 8], Simbu arranged special screening of Vaalu for his mother. 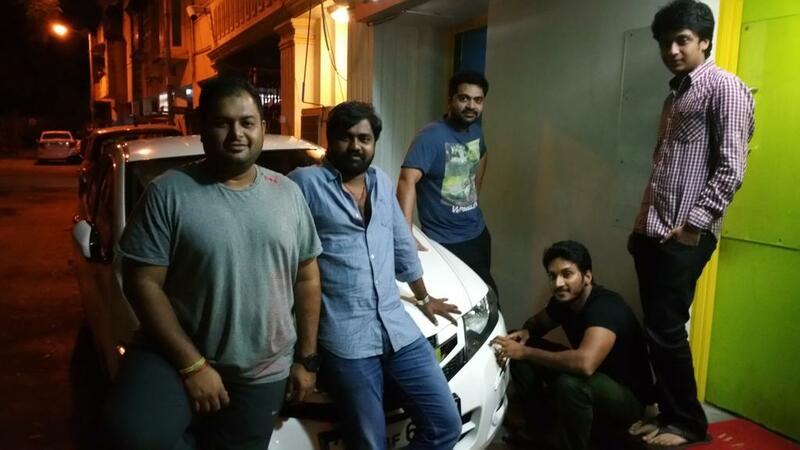 Usha Rajender is a big critic for her Son, but this time she is heavily impressed with the picture and praised Silambarasan for putting up a scintillating performance in 'Vaalu'. Hansika has paired opposite Simbu in this film, while Santhanam provided comedy. Directed by debutante Vijay Chander, Vaalu is an NIC Arts production film that enjoys Thaman's muisc. Santhanam will be seen in a key role in SS Chakravarthy produced Vaalu that is slated for March 27th release.